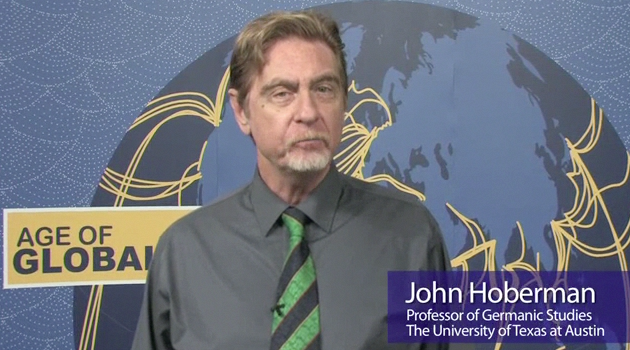 In Fall 2013, Dr. John Hoberman was among the first University of Texas professors to offer a MOOC, or Massively Open Online Course as part of edX,a consortium with Harvard, MIT, Berkeley, and other global institutions of higher education. The course, Age of Globalization was very well received by the thousands of students worldwide who actively participated. But for those who were not seeking to earn a certificate of completion, Hoberman wanted to offer the course in another format. 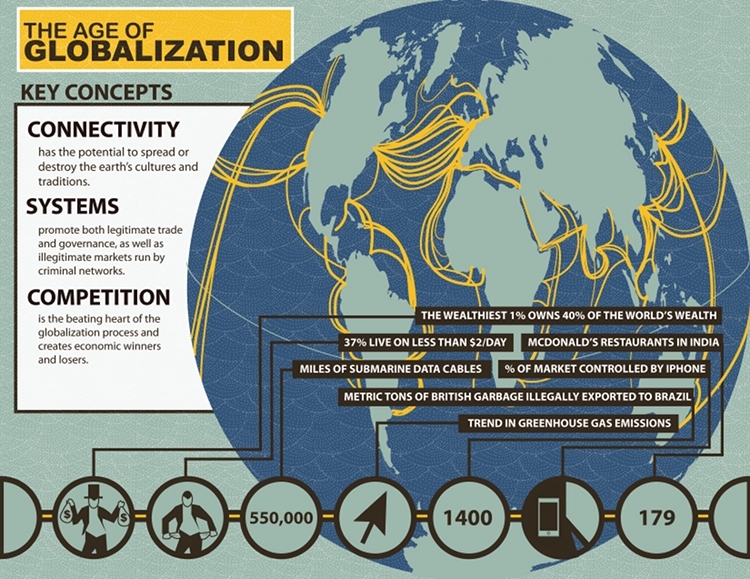 Thus, the College of Liberal Arts worked together with The University of Texas Press to create an enhanced e-book version of the course, now available to anyone who wants to better understand the systems of competition that drive globalization. The video and audio enhanced e-book “Age of Globalization” is available in multiple e-reader formats, as well as through a standard web browser. “When academic interest in something called “globalization” first came to my attention in 1995, it struck me as a remote and exotic topic,” says Hoberman. Over the years, he’s found it a nearly limitless topic that allows deep and wide exploration into how the world works as a collection of overlapping systems. For Hoberman, writing the lectures and writing the book were largely one and the same thing. “Composing the lectures required doing a lot of online research during the writing process.” For the MOOC, these lectures were videotaped short 9- to 13- minute segments, divided into twelve sections. “I wrote the twelve sections aiming for a jargon-free clarity of presentation that suited both the video lectures and the eventual e-book text. “ The transcripts from the video production became the basis for the text of the enhanced e-book. Hoberman continues to monitor current global developments, such as various international organizations including United Nations, NGO’s like Greenpeace, as well as the International Olympic Committee (IOC) and the major international sports federations that are affiliated with it. He points to the recent 2014 Sochi Winter Olympic Games as an opportunity to watch globalization in action. “The transnational IOC, which is accountable to no authority other than itself, represents itself as a peace movement that promotes human rights,” says Hoberman. “But, in 2007, the IOC awarded the 2014 Winter Olympiad to Vladimir Putin and Russia, despite Putin’s merciless war against Chechnya (1999-2000) and his subversion of democracy in post-Communist Russia. The question here is whether a global ‘movement’ run by a group like the IOC is willing to take principled stands on behalf of ‘global norms’ that conflict with the objectives of dictatorial regimes. In fact, the IOC always fails to enforce “global norms” that represent humanitarian principles. In this case, President Putin rewarded the supposedly peace-promoting IOC by attacking Ukraine only days after the Closing Ceremonies of the Sochi Games,” Hoberman points out. Hoberman’s compelling new e-book delves into the topics of Transportation, the Media and Internet, Transnational Organized Crime, Small Country Self Assertion, Popular Culture and Sports through the lens of Globalization, exposing the dramatic narrative of positive and negative forces that are affecting us all.